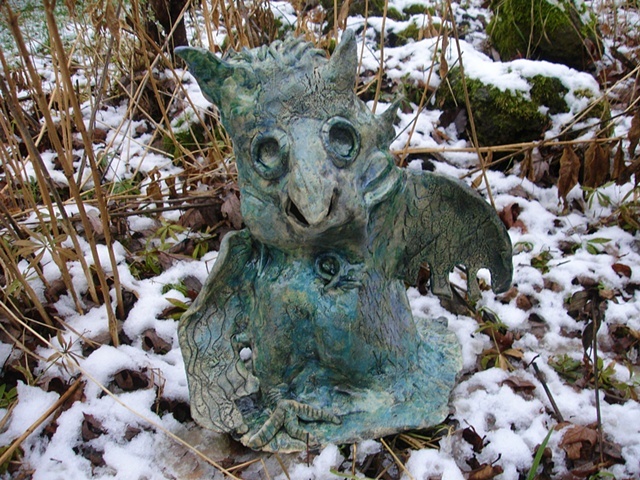 This owl sculpture is inspired from a Wyoming hiking trip to view the petroglyphs that were at an altitude of 9,000 ft. It is part of my rock art body of work series. This piece has been sold but the buyer will lend it out for exhibitions.